Today I am sharing this card on the Hero Arts blog. 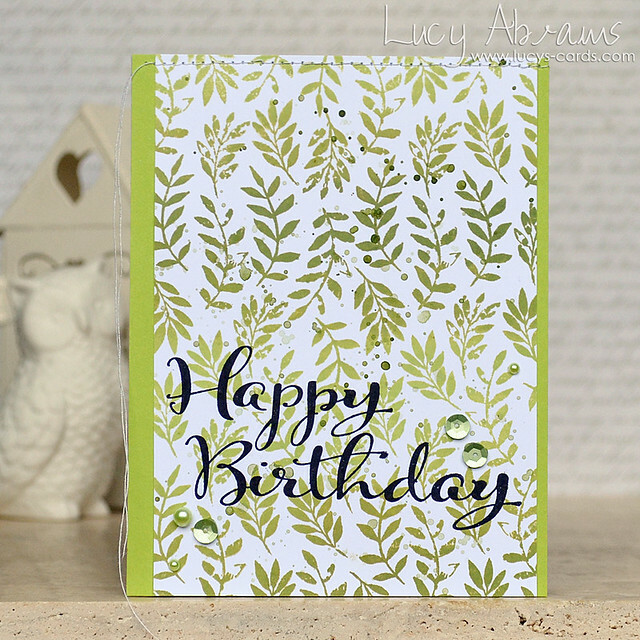 It features two gorgeous stamps: Foliage Bold Prints and Birthday Script. 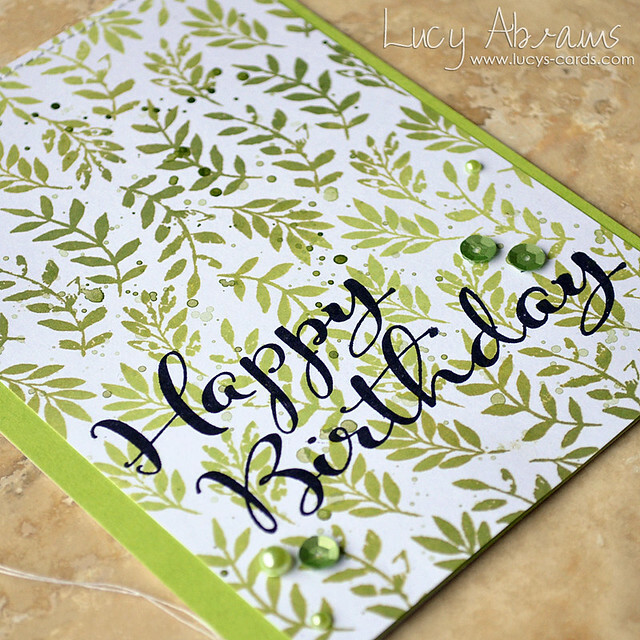 To create my card, I first stamped the Foliage Bold Prints in Lime to Forever Green Ombre Ink on white card. Next, I used some green watercolour paint to splatter droplets onto the stamped panel to give out a more rustic look - I didn't want it to be too clean looking. Once the inks were dry, I stamped the Birthday Script sentiment in black ink on top, making sure to stamp it over the lightest part of the ombre background. To finish, I stitched the white panel to some green cardstock, then embellished with green sequins and pearls. Thanks for visiting (again?) today. Beautiful card. Love the green color. Love the large scripted sentiment!